By the time I post this entry, you will have bought your tickets already. Or you may be like me and trying to decide how many times you will see her during this run. It has been about 3 years since I have seen Lizz Wright in concert. She is at Yoshi’s this week promoting her new Verve release, The Orchard, which hit the stores on 2/26. I have listened to it a couple of times and like what I have heard so far. I am most happy that she gets to sing the music that she enjoys. Stop back soon for a review of her concert and the new album. This entry was posted on Wednesday, March 5th, 2008 at 8:15 am. 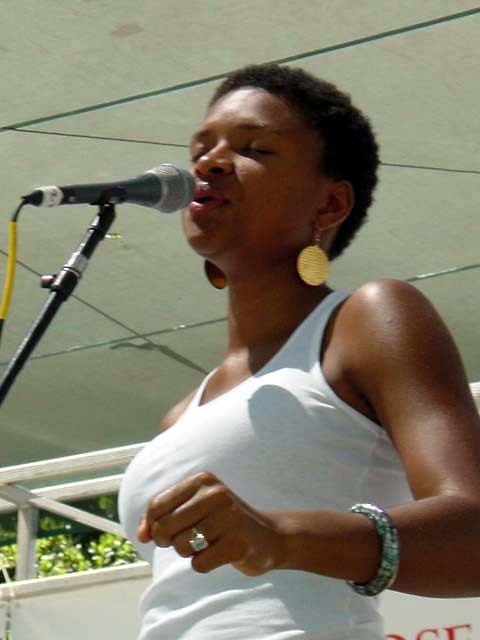 It is filed under Lizz Wright, Yoshi's and tagged with Lizz Wright, Oakland, Yoshi's. You can follow any responses to this entry through the RSS 2.0 feed. I absolutely LOVE La Lizz, & this CD does NOT disappoint! With each new recording, she adds more colors & hues to the already impressive prism of her artistry.